Biomass is a general term that refers to a broad range of materials that can be burnt as fuel. Products such as wood, crop waste, grasses and animal waste are classified as biomass. Biomass is often burnt on-site as a necessary process to reduce waste that otherwise must be hauled off-site. Although it is dealing with a waste stream, it may also be an important energy source. When it is an integral part of the process, biomass burning generally does not need to compete in fuel price with natural gas. If biomass is not already present on the site, or is not already being used in the process, then a careful analysis is needed to determine the economics of a new biomass-fueled system. Biomass is typically burnt in some sort of bottom-grate, water tube boiler. The boiler produces process steam that is either used as thermal energy and/or in a steam turbine to produce electricity. Some types of waste, typically high moisture materials like manure and liquid process wastes, may be first “digested” to produce methane gas that is then burnt as a gas in boilers, engines or combustion turbines. The waste may then be dried and burnt. 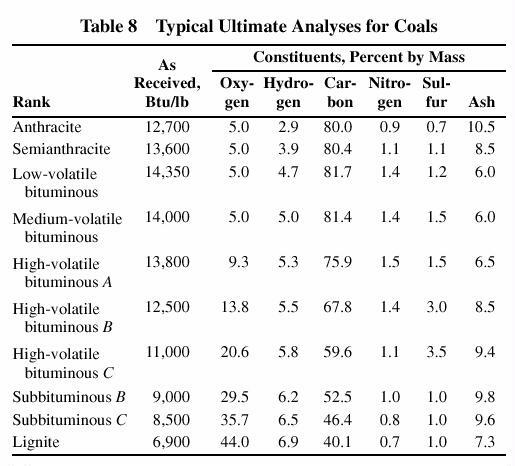 The BTU content of biomass fuel varies greatly with its content and moisture percentage. Wood and wood-like high cellulose materials like crop waste, contain about 4,000 BTUs per pound when “wet”. If first dried to a moisture content of less than about 10%, the BTU content goes up to about 8,000 BTUs per pound. 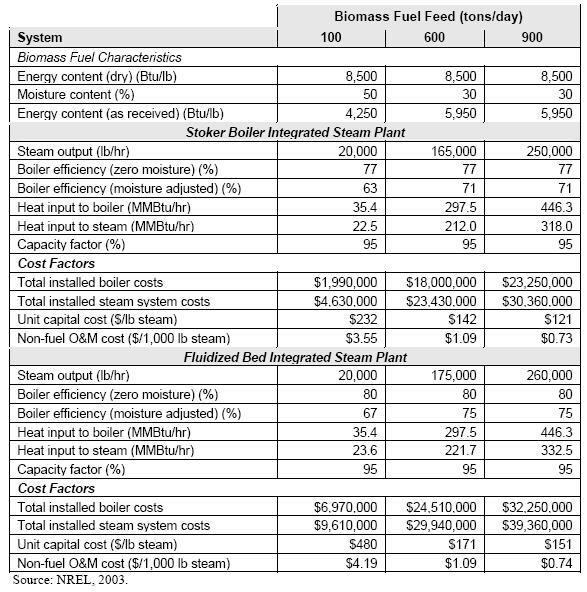 The combustion efficiency of biomass boilers is relatively low. Biomass boilers are sometimes co-fired with natural gas or fuel oil for either flame stabilization and/or emissions reductions. Biomass boilers are typically rated in tons per hour or tons per day of fuel consumption, in addition to boiler horse power output or thousands of pounds of steam per hour output. In order to benefit from the ‘economy of scale’ biomass systems need to be quite large. 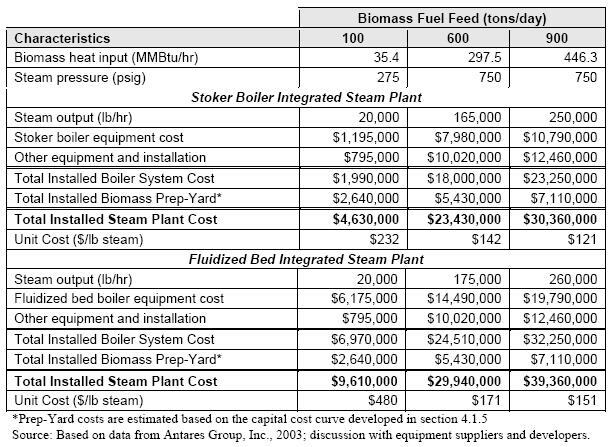 Small systems may economically utilize a digester, but biomass combustion systems typically need to be in the range of 100,000 lbs/hour steam to be practical. Certainly they are many variables and smaller systems may be cost effective at dealing with on-site waste sources. 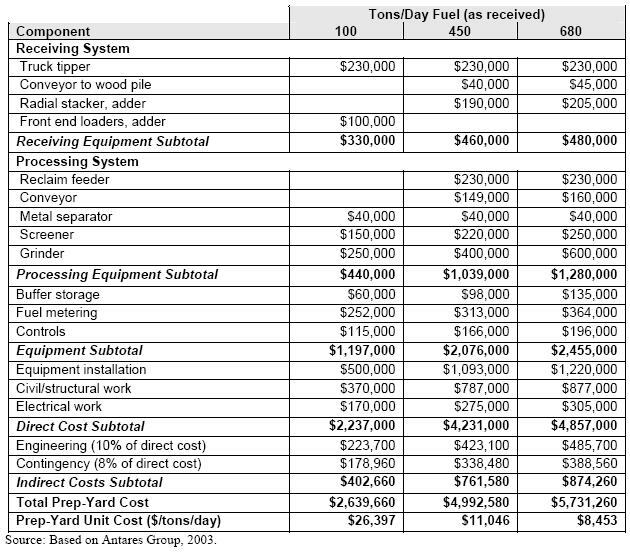 In addition to the cost/value of the biomass itself, material handling, on-site storage, and if transported in – transportation costs, are all significant factors in comparing the cost of biomass fuel. 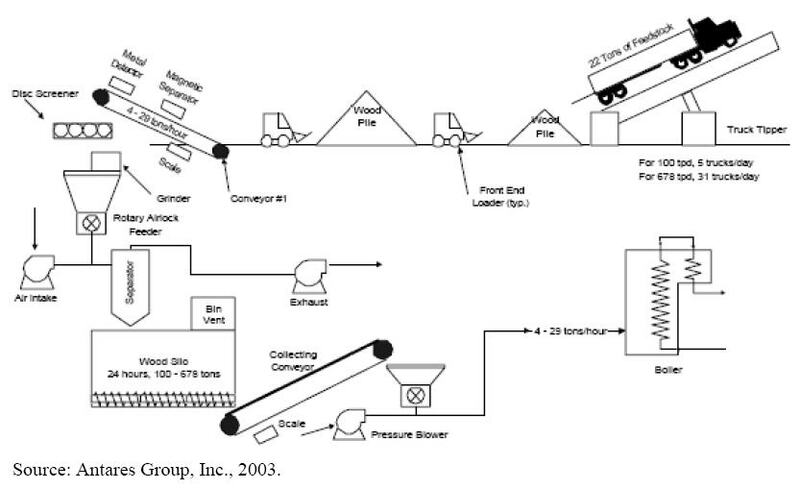 Conveyor motors can add hundreds of horse-power of electricity demand in large biomass systems. Large material moving equipment and man power must also be added in. Although biomass is never “free” it can be an economically viable and environmentally attractive option to gas, oil or coal combustion. Natural Gas with about 1 Million BTUs per MCF at 80% Boiler efficiency = 0.8 Million BTUs per MCF delivered to the process. “Biomass Combined Heat and Power, Catalog of Technologies, U. S. Environmental Protection Agency, Combined Heat and Power Partnership” September 2007.